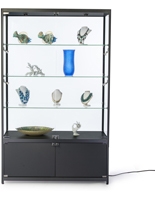 This narrow retail store cabinetry highlights merchandise and museum artifacts with a sleek, contemporary design that fits in smaller spaces, and LED lights. 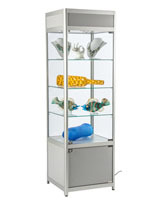 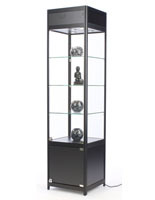 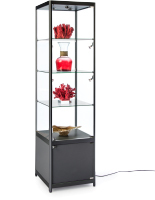 Display cabinets with illumination, such as this glass case, are the best way to draw attention to artifacts and high end merchandise. 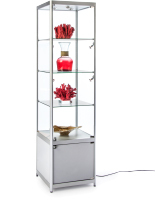 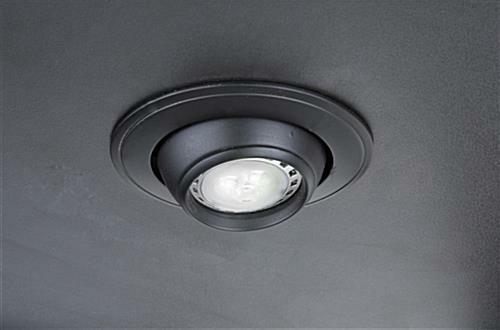 This retail store cabinetry has four side and three ceiling lights, plus a 11.5' long cord. 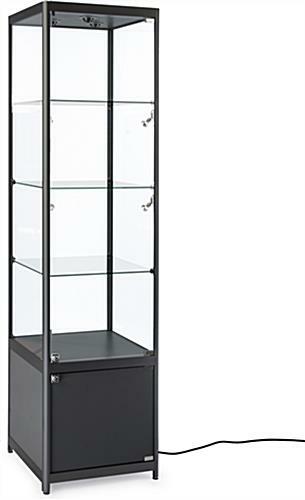 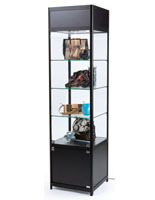 These store towers, also known as showcase cabinets, are constructed in melamine with a durable aluminum frame that stands up to time, and frequent use. 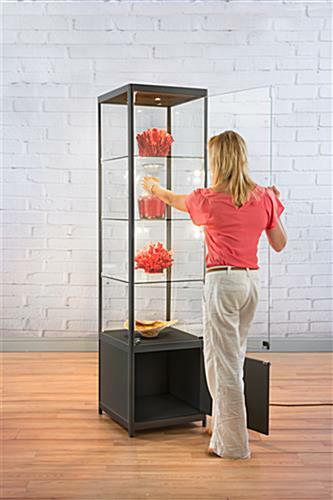 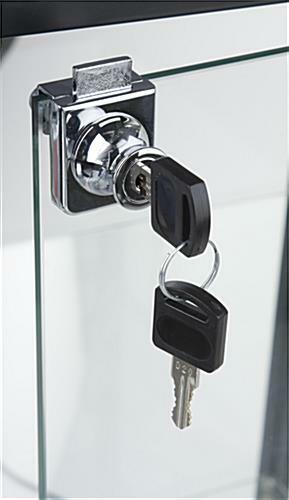 Display electronics, jewelry, and expensive collectables behind swing-open, hinged locking doors. 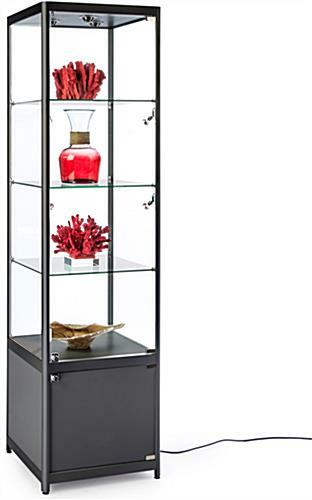 Put the spotlight on merchandise with store cabinetry featuring three tempered glass shelves and a storage compartment. 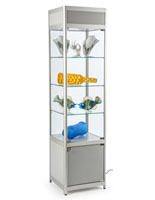 This unit also comes with leveling feet to keep items within balanced on uneven surfaces.